10,000 years to 3 hours?! Changhyun on Climate Change: How Will it Affect Students in Ho Chi Minh? Catherine on Climate Change: How Will it Affect Students in Ho Chi Minh? Chia Ju (Ruby) on Climate Change: How Will it Affect Students in Ho Chi Minh? Kai-Wen (Kevin) on Climate Change: How Will it Affect Students in Ho Chi Minh? Josiah on Climate Change: How Will it Affect Students in Ho Chi Minh? Finally the last blog post of this year in physics! I decided to do an infographic and I tried to inform the readers about the prevalent plastic problem that humanity is facing. It was important to me because in Vietnam, people use a lot of plastic like without concern and I felt like it was a big problem and people must be more aware of this problem. If this continues, it will only harm us more and our entire humanity. I found that biodegradable plastic is an extremely plausible solution to the current problems. Although it is more expensive than plastic, if companies that produce plastic related items all start switching over to biodegradable plastic, then it will greatly help our environment. I hope that people can understand the great benefits it will bring and start making a change! I think the main challenge of doing this project was finding a way to connect my topic to physics. I knew that it was a very useful technology that many companies could use. However, I was unsure whether this would actually be able to be tied with physics. Thankfully, I was able to find abundant information by searching up my topic using both Korean and English. I was able to find various sources, and utilize it for my research. I think my strengths for this project is that it’s extremely simple and direct, so it would be easier for my audience to understand what I am talking about. Usually, when people think of physics related topics, they think it is extremely hard. However, mine was fairly simple and it was direct in stating the benefits. I think my weakness is that it my infographic might be too simple. I think I needed to further explain more in depth of how to make the biodegradable technology. Also, I probably should’ve written down more concessions or else the readers would oversimplify it and think that it is without doubt the best choice. I have learned many things about my topic so far! As I mentioned in my previous blog post, usually plastic takes a long time to degrade and due to that reason, it is dumped in the sea. Sea animals eat all of the plastic that we throw and eventually it ends up coming back to us. Basically, we are eating our own trash. 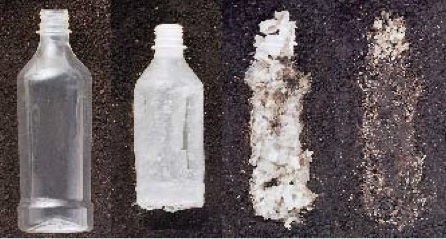 There are mass companies such as Coca Cola that produces over 100 billion throwaway plastic bottles each year. Imagine all of this in the sea floating around. It may look like this, but a lot worse. The rate at which Coca-Cola is pumping out single-use plastic bottles is just breath-taking and the rate of recycling these bottles are declining in countries. This urged a need to do something about it before the environment becomes out of our hands to solve. The problem is that we are continuing to increase the use of plastic because it’s cheap and accessible. In order to resolve this problem, there have been many attempts in finding a technology that degrades plastic. As I was researching ways to degrade plastic, I also specifically searched for those that related to physics. Luckily I was able to find some information on it! A group of scientists in North Dakota State University heated a solution of molecules from fructose and phototriggers to create long, repeating chains of small molecules that formed a solid plastic when cooled. They then exposed plastic to UV light at a wavelength of 350 nanometers. This triggered the plastic to start to degrade. It was done in 3 hours! It has been pretty challenging to think of a product that I was going to make. I didn’t know what type of technology I could create that would effectively connect to physics. However, while I was reading an article from this website called IFLscience! that using UV light at a wavelength of 350 nanometers could degrade plastic at around 3 hours. I now have to think of a way to utilize this fact to create a product that companies could use. I could use photo degradation and create a product that is easily accessible just like a trash can. Therefore, I could create a separate trash can just for plastic, because plastic takes up a lot of trash anyways so degrading it right away would be good. If companies that use a lot of plastic could use this technology, then it would really help out our environment and benefit our own health. I have been following my timeline pretty well because I am done most of my research and am planning to start creating my website on May 15th. I think that if I keep on working at the same pace I have been working at, I will be able to solve everything on time and be able to meet the deadlines. I have managed to achieve this by not procrastinating and doing a lot of work during class so I don’t have to work a lot at home. I am hoping to finish this project earlier so I could work on other projects as well! Posted on May 13, 2018 May 14, 2018 Categories UncategorizedLeave a comment on 10,000 years to 3 hours?! I am planning on investigating the extent plastic degrading technology can affect everyday life. Plastic seems almost impossible to escape in our daily lives because it is cheap, useful, and easy to use. 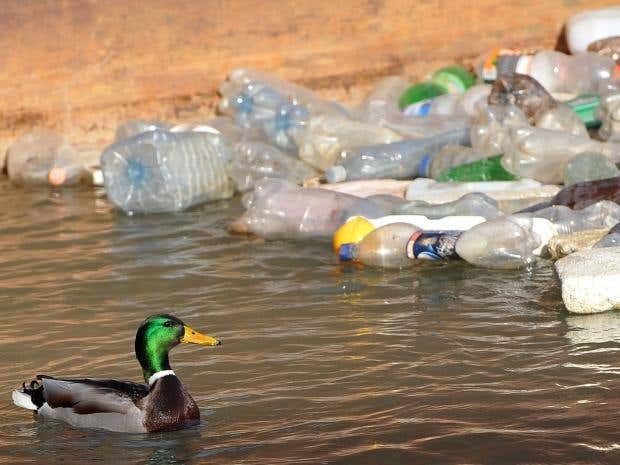 In fact, the use of plastic has a positive correlation with plastic pollution. According to ecowatch, approximately 500 billion plastic bags are used worldwide and only five percent of it recovered. This is a serious problem worldwide, including Vietnam, the place I currently am living in. Most of the plastic that we throw away goes to the sea, and is eaten by sea animals. 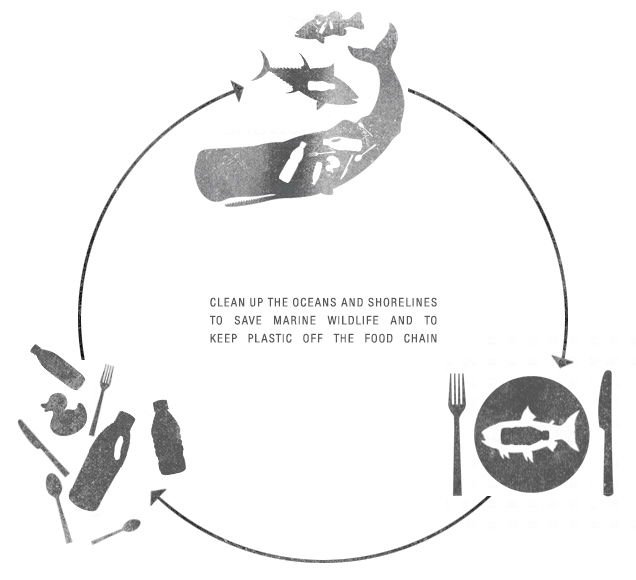 The sea animals that eat plastic, are the food that we end up eating which is extremely detrimental to our health. In order to solve this problem, I am planning on creating a plastic degrading technology. I considered making a prezi or a website. Prezi is very easy to create and visual but I thought that it would seem to much like a ordinary presentation and not as interesting. But website was easy to use, visual, interesting, and provides much more freedom for what the readers want to see. Due to these benefits, I have decided to create a website as my final product to deliver my idea. In order to finish everything on time, I’ve decided to create a timeline that I must follow. The experiment was to throw a paper airplane and measure how far it goes. In order to further the distance the paper airplane travels we changed the plane size and the center mass. We used different size papers and different number of paper clips onto the plane in order to increase the mass. Hypothesis: If we increase the plane size and center mass, then the plane will fly further. Independent Variable: Plane Size in cm with 3 levels of 4cm increase each. Center mass in # of paper clips with 5 levels of 2 paper clips. Today we tested out two variables: plane size and number of paper clips. Through multiple trials, we figured out that there was a positive correlation for both size and paper clips on the distance. This illustrates that by adding mass to the plane and by increasing it size, it will fly further. The experiment was to throw a paper airplane and measure how far it goes. In order to further the distance the paper airplane travels we changed the wing size. We added paper onto the wings in order to increase the wing size, and folded the wing in half to decrease the size. Hypothesis: If we increase the wing length, then the plane will glide further. Independent Variable: Wing Size in cm with 4 levels of 2.25cm increase each. The average length significantly decreased after shortening the length of the wing. Through this, we can conclude that by decreasing the wing length of the plane, it will travel a shorter distance. In conclusion, in order to make a successful paper airplane, we would have to increase the wing length. To further investigate in our plane experiment, we will try different plane sizes and change the center mass. Climate Change: How Will it Affect Students in Ho Chi Minh? In this project, I planned out my format really well so I could easily know what I had to research and put in for my presentation. This was important to me because it saved a lot of time and I was able to stick to my timeline. If I didn’t plan it out as well, I probably would’ve taken a much longer time figuring out what I was going to put and what my main message would be for the audience to depict. And having the abundance of time makes the information I convey much more rich and just better quality overall. My main findings of this project was that Ho Chi Minh was a marsh and so it was extremely vulnerable to sea level rise which is increasing 3mm per year. I realized how severe this problem is and how we are so unaware of this making the situation worse every year. This really motivated me to make the presentation and now I have a desire to actually make a change of ameliorating the status quo of climate change. I really struggled in finding information of how climate change would affect Ho Chi Minh. I found many information on Vietnam but not much on Ho Chi Minh. This is probably because there are not much climate change problem correlated with Ho Chi Minh currently, but it is clear that Ho Chi Minh will be greatly affected by changes in the climate. Because of this struggle, it took me quite a bit of time to think of what I was going to talk about because even if I wanted to talk about something, if I can’t find any statistics on it, I couldn’t use it. That was my primary challenge in this problem and I feel like everything else was okay. My strength was my ability to make a presentation that is self-explanatory through good use of image and I feel like my wording was good in order for readers to easily understand what I am trying to convey about the main message. My weakness is probably my creativity in how to convey my message. However, even though it is not as creative, I feel like it really conveys the main message of how we must take action of climate change if we don’t want to see ourselves and the future generation suffer from problems created from climate change. Posted on December 10, 2017 December 10, 2017 Categories Uncategorized5 Comments on Climate Change: How Will it Affect Students in Ho Chi Minh? My research question is how climate change is going to affect the everyday lifestyle of students in Phu My Hung. So far, I have learned a lot about my topic. 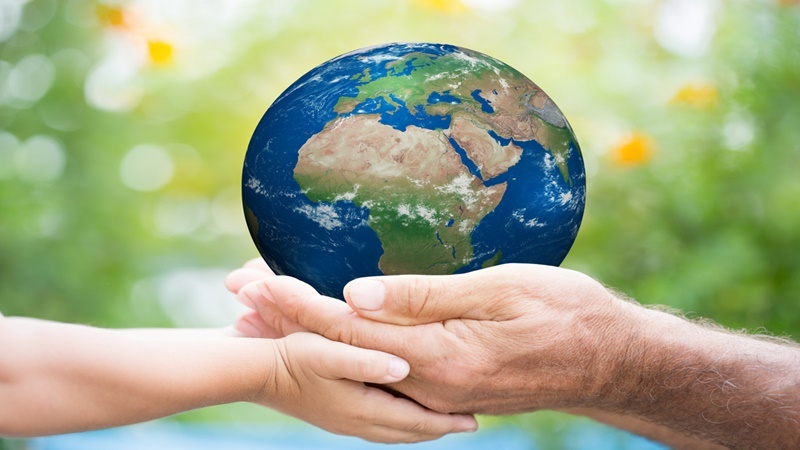 Many people know that climate change is happening and that it is affecting many people in different ways. However, research has shown that Vietnam is the second most endangered country from sea level rise. 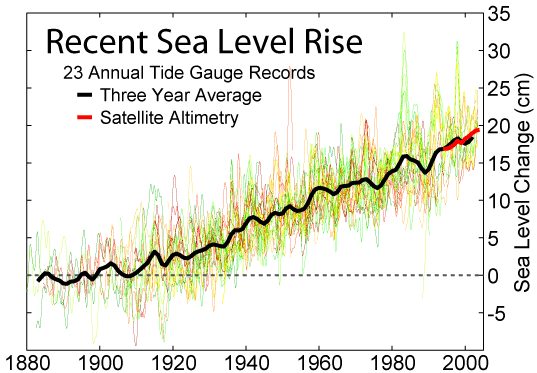 Currently sea levels is rising at the rate of 3mm per year. This will change the life style of many people since there is a high chance of flooding of houses if it is not an apartment. I feel like the only part I have been struggling in is my blog post because I didn’t know exactly how much I was suppose to write and I was uncertain of what kind of things I had to say. However, after hearing Mr. Bunting’s suggestion on how to improve my posts, I have made it more lengthy and more specific. I’m following my timeline really well because I have finished most of my research and am now am going to start up making my presentation. My original plan was to finish my research by December 8th but I’m ahead of schedule which is great! I just need to now find images and organize what I am going to say in the presentation. I feel like I will be able to finish up the presentation even before the due date if I work efficiently and diligently. I have been able to achieve my goals so far since I worked really hard in class and outside of class as well. I had a clear understanding of what I needed to research so I was able to find out information swiftly. Ho Chi Minh City- Sinking?!? I am planning to research on how climate change is going to affect the everyday lifestyle of students in Phu My Hung. This is really important to me because I really wanted to live in this place even when I grow up and it would be sad to imagine leave just because of rising sea levels and the natural disasters caused from climate change. I am going to make a google presentation as it is easily understood and always accessible by students. I am planning to complete most of my research by December 8th and complete making my presentation by 11th and 12th of December. Posted on November 30, 2017 Categories Uncategorized1 Comment on Ho Chi Minh City- Sinking?!? In this project on equal access to medicine, we focused on raising awareness of the current topic. This is was important because many people in Vietnam were dying because they were diagnosed with congenital heart disease. This blog post provides a reflection on my work, as well as a sample of what I accomplished. What will you do to continue your involvement with this group or social issue, or with other service work?- In order to continue our involvement with other groups or service work, I will donate money, continue to keep in contact with the organisers of the organisations, and try to be part of it. What did you learn from visiting other exhibits?- I learned many different kind of things. I learned about harvest baking and ho they help kids do surgery by baking cookies. I felt like this was a very smart idea in earning money to help the children. I learned about Smile Bank and a lot of things about Agent Orange. In this project, something that allowed us to stay very organised was our group project planning form document. This document contained information on what we had to accomplish every class and gave specific directions on what each individual had to finish. It allowed us to finish our work efficiently because everyone would be working on a different task. Two information I learned by looking at the pictures of the book were that they were hitting the slaves with sticks. The second information I found was that they were living in villages and some Indians invaded them.